John 4 is a story of transformation. An unnamed Samaritan woman encounters Jesus at Jacob’s well in Sychar, Samaria. He asks her for a drink, which surprises her. A Jew would become unclean if he drank from her vessel. 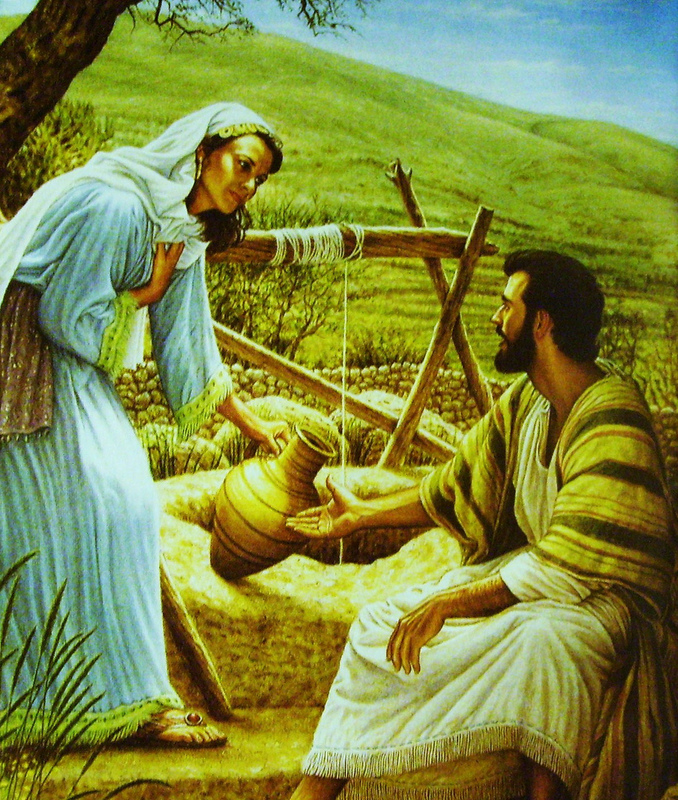 Jesus responds by proclaiming that he could give her living water – water that would keep her from thirsting and would become “a spring of water welling up to eternal life.” Jesus offers spiritual refreshment, relief, and life in Him as they sit by the well. Jesus’ promise is astounding, but the transformation begins to happen as the conversation takes a turn. Jesus cuts right to the heart. There is a reason this woman is here at the well at the ‘sixth hour’ (around noon). We do not know the circumstances surrounding this woman’s five husbands, but we get the sense that this is a source of deep shame for her. Deep enough that she would shun the social contact of her community to go alone to the well in the heat of the day. Everyone knows, everyone stares, everyone gossips. So she goes to the well alone. Only this time she finds Jesus. He names her shame, then (after she tries to steer the conversation in a different direction) He proclaims himself the Messiah. Then the transformation happens. Living water flows into and refreshes her soul and she is freed to tell her story – but is no longer just her story. She goes back to her town and tells everyone to come and see Jesus for ‘he has told me everything I ever did.’ Her story is now caught up in God’s work. Her story becomes an occasion to tell of Jesus. This is an act of bravery and incredible vulnerability. Yet, I believe she can do it because her story is not her story anymore. It is not about her shame or her past, but about Jesus Christ. Her testimony includes herself, but it is God-centered. Come, see Jesus! See the Christ! The parts of her story that had once brought shame and isolation, now lead her into community – they become her witness – because of Jesus. Because of the power of Jesus Christ to pour living water onto our parched souls, our own stories are caught up in the larger story of redemption. Our stories can become occasions for witness instead of shame because they no longer remain our stories alone, but become stories of God at work – redeeming, healing, forgiving, refreshing and renewing. Could the church be a place where these stories are told? Could the church be the place where we know and experience the living water of Christ and feel compelled to tell the story of God’s work in our lives? Could the church be a place where vulnerability is possible because of the awesome power of God to redeem? This women was not comfortable with her community anymore, so she went to the well at noon. But she still loved her community very much because the first thing she does is to tell them about Jesus. That’s a great reflection. I had not thought of that before, but it is definitely true.